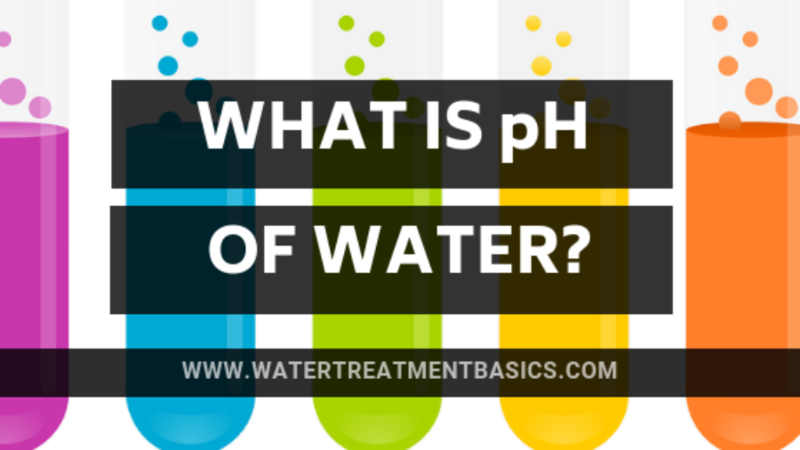 What is pH level of water? The term pH means “Power of Hydrogen” or “Potential of Hydrogen” in chemistry. But simply pH level of water indicates the concentration of hydrogen ion in water. Based on hydrogen ion concentration pH scale is developed. 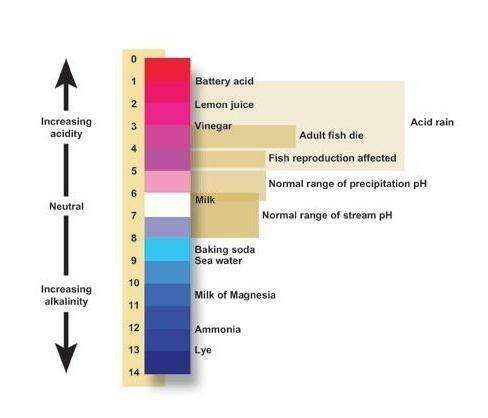 pH scale ranges from 0 to 14. pH value 7 is considered as neutral water. Water having a pH value between 0 to less than 7 is considered as a acidic water & from greater than 7 to 14 considered as basic or alkaline water. It is accurately determined by pH Meter. However you can also check approximate pH value by pH indicator or pH test strips. Nowadays, It’s very easy to test pH of water. All you need to do is simply purchase the pen type pH meter & dip it into the water sample.Display shows the pH of sample. How to calculate the pH & hydrogen ion concentration of 0.1M Hydrochloric Acid? Hydrochloric Acid(HCl) is strong acid. It is fully dissociate into H+ and Cl- ions. So, The pH of 0.1M Hydrochloric Acid is 1. This is reverse calculation of pH. You can easily calculate pH of all strong acid and bases by simply putting molar concentration value in above formula. Therefore, Ka & Kb value requires in order to calculate pH of Weak Acid & Bases. Here, Ka & Kb value represents weak acid & Weak base. Remember that Ka & Kb values are very small because weak acid & bases are not completely ionized in water. 0.0112 is the concentration of H+ ion in 0.7M acetic acid solution. In summary, pH level of water indicates the nature of water. Water having a very low or very high pH is a sign of contaminant present in water. © 2019 Water Treatment Basics. All rights reserved.